Cook like a great chef between visits to New Orleans! 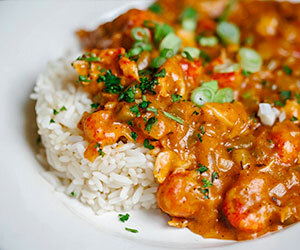 Every month, come back here for a new Southern, Cajun or Creole dish from one of the best restaurants in New Orleans. 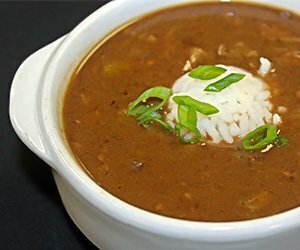 Have recommendations or questions about local NOLA recipes? Just let us know. In the meantime, check out our Recipe of the Month. Every April, New Orleans heads across Lake Pontchartrain for the Ponchatoula Strawberry Festival where, in addition to flats of strawberries, you can enjoy strawberry shortcake, deep-fried strawberries, strawberry daiquiris and more. 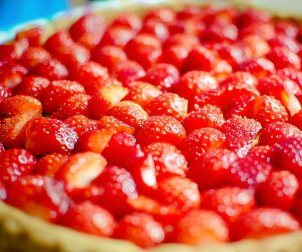 With this pie recipe, which we think tastes a lot like Shoney’s Strawberry Pie, you can have your own festival at home. Praline. Salt-caramel. Strawberry cheesecake. Lemon. 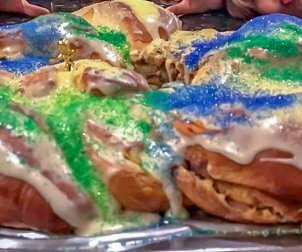 There are about as many different kinds of king cakes in New Orleans as there are types of bread pudding (that means a lot). This is a classic recipe the traditionists among you will love. 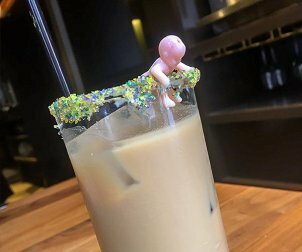 Recycle a baby from your last store-bought king cake and you’re good to go! This recipe is sure to impress. New Orleans is more than great seafood. Sometimes you just need a steak! 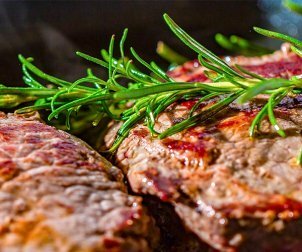 For a taste of Morton’s The Steakhouse (and New Orleans) at home, try this recipe for Cajun Ribeye. Start with a good cut. Morton’s serves only USDA Prime-Aged Beef, the top 2% of beef available in America. Landry’s Seafood House has fabulous views of both the Mississippi River and Jackson Square. At the heart of Jackson Square is a statue of Andrew Jackson, hero of the Battle of New Orleans. Every January, this famous battle is reenacted at Chalmette Battlefield. In 1863, during the Civil War, the Confederate government issued two Confederate postage stamps featuring Jackson’s portrait, a red 2-cent stamp and a green 2-cent stamp. This cocktail, a spin-off of the Pimm’s Cup, was named in honor of Old Hickory, the 7th president of the United States. 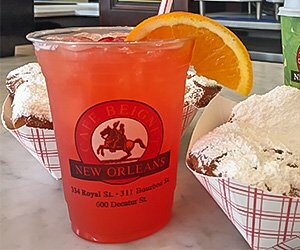 Along with their award-winning beignets (they placed first in the traditional category at Beignet Fest), one of the things folks love best about Café Beignet is that they serve more than café au a lait. One sip and you’ll feel like you’re back in New Orleans. Every year, Gambit Weekly asks its readers who makes the best gumbo in the city. According to Publisher Margo du Bois, “Gumbo Shop is the winner every time!” This fall, treat your family and friends to this fabulous recipe for Chicken Andouille Gumbo. We can’t think of a better way to welcome autumn. 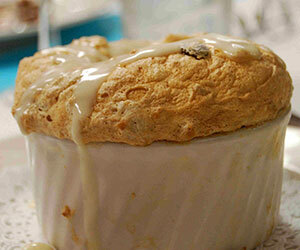 One of the most frequent photos we see in our friends’ Facebook feeds is of Commander’s Palace’s Bread Pudding Souffle. Commander’s signature dessert is one of the city’s favorites – right up there with and Antoine’s Baked Alaska. It’s just one of the reasons the restaurant was honored six times by the James Beard Foundation. What’s more, Southern Living recently named Commander’s “The South’s Best Restaurant.” Wow your guests and make it at home. From their kitchens in an old renovated molasses warehouse in the French Quarter, the chef/teachers at the New Orleans School of Cooking have been spicing up vacations to the Big Easy since 1980. This recipe for Crawfish Étouffée will become one of your favorites. What do you do with stale bread? In New Orleans, you either feed the ducks in City Park or you make bread pudding. 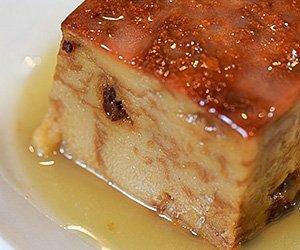 If you have hamburger buns, you make Mulate’s Homemade Bread Pudding. This customer favorite was featured in Alton Brown’s cookbook, Feasting on Asphalt. It’s also included in the Mulate’s cookbook. Buy it online at . 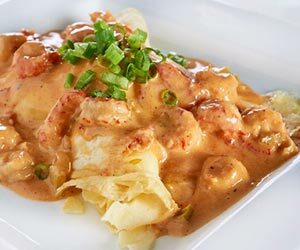 If you’re watching your weight, put on a little Cajun music and two-step off the calories the way they do at the popular restaurant and dance hall near the Convention Center. What happens when you muddle jalapeño-infused silver tequila with the seasons’ best fresh jalapeños? You hear jazz! 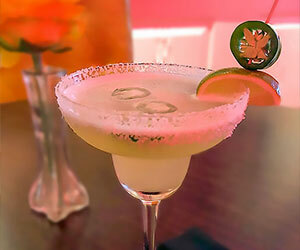 This recipe is from the Clarinet Lounge – the fun, modern bar in the Holiday Inn Downtown Superdome. It’s a great place to gather after work, before heading to the French Quarter on the weekend, or to meet for a nightcap before retiring. 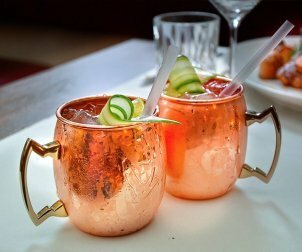 You’ll find Happy Hour specials served daily from 4 to 6 p.m. or, if you prefer, you can make The Jazz at home right now. Fishermen in Louisiana will tell you that redfish is fun to catch. It’s also fun to eat! A cousin to the black drum, redfish (or red drum) can be found all over south Louisiana in marshes, bayous and the Gulf of Mexico. These fish put up a great fight. Your guests, however, will be easily hooked. Redfish Pontchartrain from Ocean Grill in the French Quarter is a Louisiana blackened redfish filet, served atop crawfish cornbread. 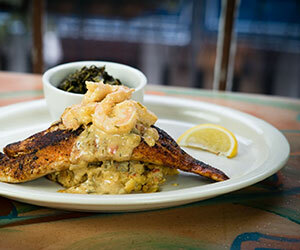 It’s topped with Oceana’s Creamy Shrimp Pontchartrain Sauce and served with a side of mustard greens. Delicious doesn’t begin to describe it. 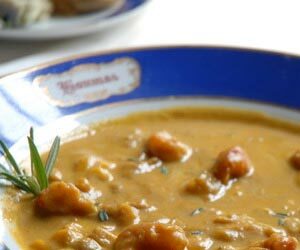 When Irish sugar baron John Burnside purchased Houmas House in 1857, we doubt his guests were served anything as exotic as Bisque of Curried Pumpkin, Crawfish and Corn, but that’s the price you pay for being born in the wrong century. 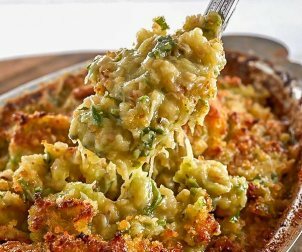 This is the perfect dish for the cooler months in Louisiana, but, frankly, we enjoy it all year long. It’s surprisingly simple and absolutely delicious. Tujague’s Chef Guy D. Sockrider created this dish when he worked at Muriel's years ago and insisted that it be put on the menu at the city’s second-oldest restaurant when he took over the kitchen. We’re glad he did. While the recipe is not in the Tujague's Cookbook: Creole Recipes and Lore in the New Orleans Grand Tradition by Poppy Tooker, many other fantastic recipes are, including their legendary gumbo. To purchase the cookbook, go to the link below. Sometimes visitors, in an attempt to get as much fresh Gulf shrimp and oysters as they can while in New Orleans, leave without ever experiencing some of our classic fish dishes. 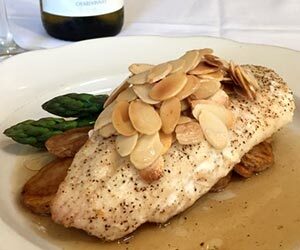 Nothing compares to Speckled trout – or Specks – caught fresh and prepared Meunière or Amandine style. Both are French classics that have been favorites on New Orleans menus for decades. Still hungry? Check out our other New Orleans Recipes and find what you're craving!